Finished last evening. 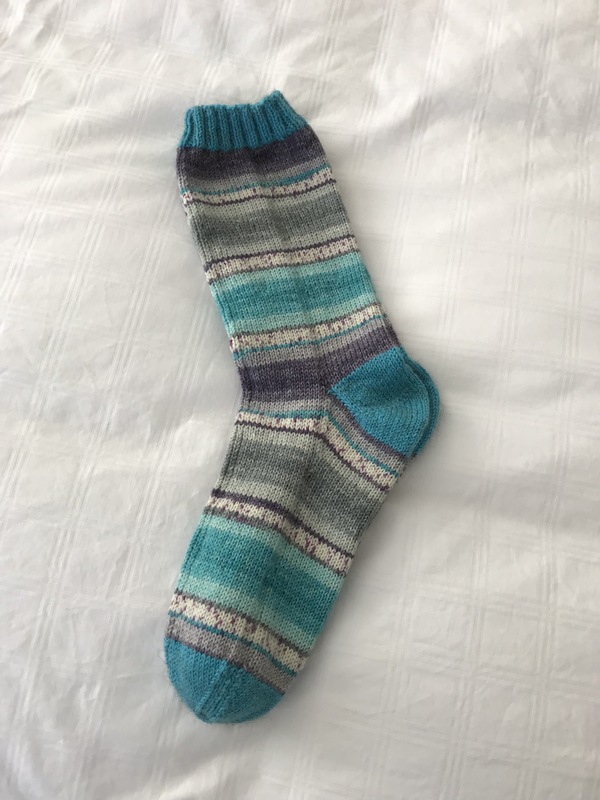 Completed the previous new pair on May 14 – however, between working on that pair and this pair I reconstructed two pair of worn socks. So the time frame is consistent – about two weeks (25 hours) to knit a pair of socks. I found the colour combination satisfying to work with. I don’t think I have another ball in the yarn stash that will knit into this pattern (the previous pair was the same as this just with different colours). Have to say, I’ve set this pair aside – they might go into my sock drawer. I have a couple of turquoise wool sweaters they’d look good with….